Red Wine Carpet Stain at the Holiday Party? Few things are more embarrassing for guests and more worrisome for holiday hosts than the dreaded spilled glass of red wine. As a host, you do not want to appear to be fussing over a spill, because it can provide stress to your guests. On the other hand, if you ignore a red wine spill, there is a good chance that the stain will set. 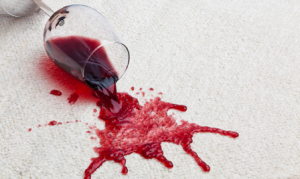 While you may need professional help to completely remove the stain, there are steps you can take to minimize the damage of a red wine spills on carpet or upholstery. Blot the spill as much as possible. We recommend the use of a white towel. First, a white towel helps you see if you are continuing to remove liquid, so that you know when you have finished blotting. Second, using a white towel eliminates any possibility of color transfer from the towel to the spilled area. Do not scrub the area. Scrubbing can fray the carpet fiber, which not only damages the fiber but can also make it more difficult to remove the stain. Clean the area. 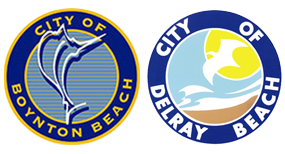 There are two different approaches to cleaning the area. If you do not have a wet dry vac or other type of liquid extracting carpet cleaner, then use club soda on the area. Club soda works to help lift the stain to the top of the fiber because of the carbonation, where you can continue blotting the stain. If you have a wet dry vac, you can flush the area with warm water and use the extractor function to remove water and wine. Schedule a professional carpet cleaning as soon as possible to remove any lingering red wine. This is critical, even if the stain appears to be completely removed because stains can get down into the pad and reappear over time. To make sure that you are prepared in the event if a spill, add club soda and white towels to your holiday shopping list, if you do not already have them. You can also schedule a visit with Chem Dry to have your carpets and upholstery cleaned before the holidays and add a stain protector after the cleaning. While stain protectors cannot prevent accidents from happening and do not keep you from having to clean stains when they, they do protect fabric fibers to prevent accidental spills from becoming permanent stains.